According to Toyota Global (2015) Toyota is a worldwide Japanese automotive corporation headquartered in Aichi, Japan. Toyota was founded in August 28 1937 by founder Kiichiro Toyoda. Fifield (2012) claims there are countless meanings for the term ‘Marketing Strategy’. Fifield (2012) accumulates and provides a number of meanings from various authors for the term ‘Marketing Strategy’. But the most captivating definition from Fifield’s (2012) research was from an author named Craven. Fifield (2012, p.xxiv) quotes Craven’s definition of a marketing strategy in which he defines it as “a process that involves strategically analysing environmental, competitive as well as business factors that affect business units and forecasting future trends in business areas of interest to the company”. A marketing strategy currently used by Toyota is a strategy called penetration pricing (See Appendix A). Ferrell and Hartline (2010) reveal that the purpose of the penetration pricing marketing strategy is to maximise sales and to attain widespread market share within the market a company is competing in. Ferrell and Hartline (2010)also bring to light that the penetration pricing marketing strategy has the objective of capturing a large market share rapidly by setting low prices for products that a company sells. Furthermore Ferrell and Hartline (2010) claim that penetration pricing is best executed when consumers are sensitive towards the price of the product. Harrison and John (2013) highlight Toyota’s usage of the penetration pricing marketing strategy which states that Toyota sell their cars in the low end of the price spectrum. This strategy caters to the price sensitive consumers. What’s more Wood (2007) exemplifies Toyota’s use of the penetration pricing marketing strategy when Toyota introduced their Yaris Subcompact car production to the Europe market. Wood (2007) highlights that Toyota’s usage of the penetration pricing marketing strategy for their Yaris car production enabled the corporation to compete with other well-known automotive companies such as Ford, Volkswagen, Renault and Vauxhall. Another marketing strategy used by Toyota is a marketing strategy called the guerrilla strategy (See Appendix B). Boone and Kurtz (2014) inform that guerrilla marketing involves companies using unconventional techniques to attract consumer attention. Boone and Kurtz (2014) also regard the guerrilla marketing strategy as a fairly new marketing technique, in addition Boone and Kurtz (2014) reveal that the strategy is normally used by companies that do not have financial resources for other well-known or more effective marketing strategies. What is more Boone and Kurtz (2014) bring forward that established companies such as Toyota and Pepsi also employ the guerrilla marketing strategy even though such companies have the financial capacity to implement more effective marketing strategies. Boyles (2008) acknowledges Toyota’s incorporation of the guerrilla marketing strategy which outlines that Toyota’s main reason for using the guerrilla marketing strategy is to attract the younger crowd i.e. young adults. Boyles (2008) also points out that companies such as Toyota conduct this strategy by placing advertisements on objects that are used everyday e.g. food or drink packaging. What is more Boyles (2008) goes further by revealing that companies such as Toyota use alternative methods for the guerrilla marketing strategy such as placing advertisements in locations where people commute frequently. A further strategy currently used by Toyota is the social media marketing strategy (See Appendix C). Marketing via use of social media is considered a contemporary strategy in the marketing world and is also considered a very effective marketing strategy. 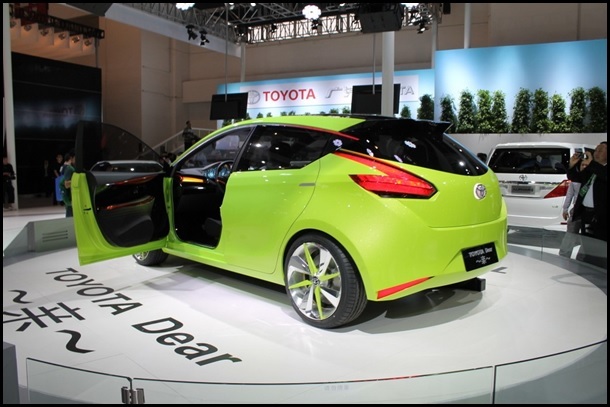 Many companies in this day age are now taking advantage of the social media marketing strategy such as Toyota. Zarrella (2009) notifies that social media marketing involves the usage of web technologies. Zarella (2009) also points out that social media web technologies include activities such as blogging, social networks (such as Facebook and LinkedIn) and media sharing sites (such as Flickr and YouTube). Tybout and Calde, (2010) present a detailed example of Toyota’s usage of the social media marketing strategy. Tybout and Calde (2010) exemplify Toyota’s usage of the social media strategy marketing by unveiling Toyota’s affiliation with a company called iCrossing. Tybout and Calde (2010) go further by acknowledging iCrossing’s role in building awareness of Toyota’s IQ city car which was released by Toyota in 2008. Tybout and Calde, (2010) declare that iCrossing is a UK based company who specialise in digital marketing. Additionally Tybout and Calde, (2010) mention that iCrossing helped to promote Toyota’s IQ car model via the use of a campaign called the ‘The Hypermiling Campaign’. Hypermiler (2015) is an online community that focuses on providing fuel saving advice. iCrossing’s assistance in promoting the IQ car production helped Toyota to generate positive anticipation amongst the community’s online users. Tybout and Calde, (2010) continue by talking about Toyota’s IQ blogging site which was created specifically for the IQ car production. Tybout and Calde, (2010) carry on by disclosing Toyota’s increase in traffic on their blogging site which increased by more than 212 percent as a result of their affiliation with iCrossing. Tybout and Calde, (2010) lecture on how the social media marketing strategy has enabled Toyota to reach new audiences through the use of alternative social media marketing techniques such as blog posting, Flickr and Twitter. Tybout and Calde, (2010) conclude by addressing an additional technique used by Toyota in the social media realm which is the integration of their online newsroom with social media outlets such as YouTube, Flickr and Twitter. 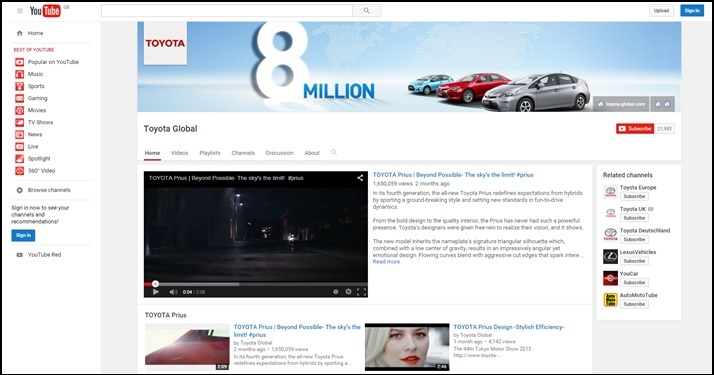 The result of this marketing technique integration has allowed the web community to access Toyota’s images, videos, activities and anything else associated with Toyota. The last strategy used by Toyota is trade show marketing strategy (See Appendix D). This marketing strategy is used by many well-known automotive companies within the car industry. Trade show marketing involves companies exhibiting their new product(s) or service(s). Söilen (2013) describes trade show marketing as person to person, information exchange and selling. Söilen (2013) proceeds by stating that trade shows involve the gathering and distribution of information. Toyota uses this particular strategy to exhibit new car productions. An example of Toyota’s trade show marketing strategy is their collaboration with a German company called B+s exhibitions. B+s exhibitions (2015) illustrate the partnership between the two companies where they present galleries as well as video footage of Toyota’s trade shows. Toyota and b+s exhibitions have worked together since the early 1980s. B+s exhibitions are a company who have been specialising in trade shows for over 40 years where one of their primary focuses is trade show marketing for top automotive companies all around the world. Based on the findings, Toyota could improve their penetration pricing marketing strategy by initially selling their cars at a low price then slowly increasing their prices once they have established a strong clientele on any new production they release. As mentioned earlier companies use the penetration strategy to attain widespread market share within the market they are competing in. What this means is companies such as Toyota using the penetration pricing strategy are trying to build a strong clientele which Toyota achieved many times over the years with the various car productions they have released. Holden and Burton (2010) address this issue in which they write about the problems that can arise from the penetration pricing strategy. First Holden and Burton (2010) tackle the issue of customers who come to companies such as Toyota based on price where they highlight such customers as being the first to leave once another competitor enters the market. What is more Holden and Burton (2010) state that competing with competitors based on price is the least sustainable competitive advantage strategy to have. Even though Toyota has been one of the world’s leading automotive competitors for many years it is imperative to take such precautions into consideration for the reason that they could sooner or later find themselves in such a situation. The tactic of starting off with low price then slowing increasing the price could help sustain the company’s competitive advantage years down the line. Toyota could improve their guerrilla marketing strategy by integrating their guerrilla marketing strategy with their social media marketing strategy. Levinson and Gibson (2010) speak about the effectiveness of combining the two marketing strategies. Levinson and Gibson (2010) delve into how guerrilla marketing strategy is able operate alongside the social media marketing strategy by noting the cost aspect of combining the two marketing strategies. They reveal that creating a social media platform requires zero fees. 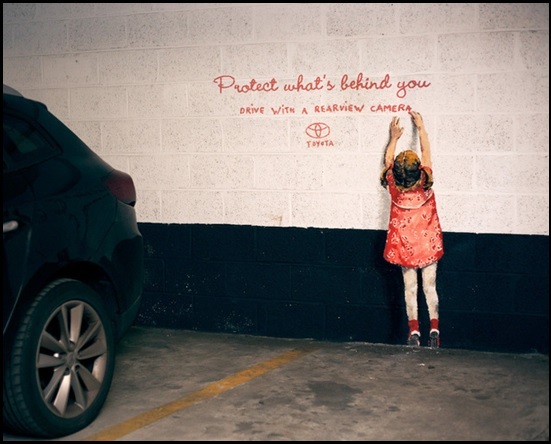 Levinson and Gibson (2010) carry on by discussing that all guerrilla marketers should take advantage of this idea as it gives guerrilla marketers such as Toyota the opportunity to maximise their brand to a wider audience. Based on the findings Toyota has already constructed a solid social media marketing strategy. However Toyota could improve their social media marketing strategy as a way to study their competitors. West, Ford and Ibrahim (2015) bring to light how the social media marketing strategy can useful weapon when analysing your competition. West, Ford and Ibrahim (2015) provide an insight on how the social media strategy is a contemporary tool for monitoring and gathering information about competitors within your market segments. Moreover West, Ford and Ibrahim (2015) go further by making a note of the type of information that can be gathered about competitors where information can include competitor brands, strengths, weaknesses and strategic decisions. Additionally West, Ford and Ibrahim (2015) present an extra commodity where they state corporations such as Toyota can employ specialist firms to analyse competitors on their behalf. Having access to such information would provide Toyota with ammunition which they can then use to get a better understanding of the market they are competing in. Toyota could improve their trade show marketing strategy by integrating their trade show and social media strategies together. Executing their social media strategy before and during their trade shows would help Toyota to improve traffic and awareness of their trade shows. Stratten and Kramer (2012) bring to attention that social media is one of the best ways to increase traffic at a trade shows. This can be done is by engaging in social media before and during the event. Stratten and Kramer (2012) offer an example of this tactic by saying that users of the trade show marketing strategy could use a social media outlet such as Twitter for their trade shows by using the hashtag tool. According to Chen et al. (2014) the hashtag tool is a feature on social media that is used to identify messages by topic. Stratten and Kramer (2012) continue by explaining that the use of hashtags enable the hosts of trade shows to see what people are saying about their conferences. This tactic can be carried out days or weeks before the event. Research has revealed how instrumental marketing strategies can be to a company’s success. Additionally the report has shown how various marketing strategies play different roles to elicit varied results. Research has also illustrated how marketing strategies can be the catalyst to a company’s longevity and possess the power to separate successful companies from unsuccessful companies. What is more from research conducted it can be seen that even established companies such as Toyota still have room for improvement as development is a never ending process. Overall the report has helped to discover how Toyota has attained their current status within the automotive market. Toyota is good example of a company that executes effective marketing strategies. The marketing strategies outlined in the report have helped to expose how Toyota has had such a strong force in the automotive market over the years. Chen, Y., Balke, W., Xu, J., Xu, W., Jin, P., Lin, X., Tang, T. and Hwang, E. (2014). Web-age information management. Macau: Springer. Ferrell, O. and Hartline, M. (2010). Marketing Strategy. 6th ed. Erin Joyne. Harrison, J. and St. John, C. (2013). Foundations in strategic management. Mason, Ohio: Thomson/South-Western. olden, R. and Burton, M. (2010). Pricing with Confidence. Somerset: Wiley. Levinson, J. and Gibson, S. (2010). Guerrilla Marketing for Social Media: 100+ Weapons to Grown Your Online Influence, Attract Customers and Drive Profits. Entrepreneur Press. Solberg SÃ¸ilen, K. (2013). Exhibit marketing and trade show intelligence. Berlin: Springer. Stratten, S. and Kramer, A. (2012). UnMarketing. Hoboken, N.J.: Wiley. Tybout, A. and Calder, B. (2010). Kellogg on Marketing. 2nd ed. Illinois. West, D., Ford, J. and Ibrahim, E. (2015). Strategic marketing. Oxford: Oxford University Press. Wood, M. (2007). Essential guide to marketing planning. Harlow: Financial Times Prentice Hall. Zarrella, D. (2015). The Social Media Marketing Book. Sebastopol: O’Reilly Media. "Toyota Marketing Strategy Marketing Essay." UKEssays.com. 11 2018. All Answers Ltd. 04 2019 <https://www.ukessays.com/essays/marketing/the-toyota-marketing-strategy-marketing-essay.php?vref=1>. "Toyota Marketing Strategy Marketing Essay." All Answers Ltd. ukessays.com, November 2018. Web. 23 April 2019. <https://www.ukessays.com/essays/marketing/the-toyota-marketing-strategy-marketing-essay.php?vref=1>. UKEssays. November 2018. Toyota Marketing Strategy Marketing Essay. [online]. Available from: https://www.ukessays.com/essays/marketing/the-toyota-marketing-strategy-marketing-essay.php?vref=1 [Accessed 23 April 2019]. UKEssays. Toyota Marketing Strategy Marketing Essay [Internet]. November 2018. [Accessed 23 April 2019]; Available from: https://www.ukessays.com/essays/marketing/the-toyota-marketing-strategy-marketing-essay.php?vref=1.